Mark D. Chapleau, Member, admitted to Illinois bar 1989, and Colorado bar, Federal District Court 1996. Education: University of DePaul (B.A. Music 1983); Northwestern School of Law, Chicago (J.D.1989). Member: Denver and Colorado Bar Association, Colorado Trial Lawyers Associations. Member since January 1999. Mark has been practicing law for twenty years in both Illinois and Colorado. He practices primarily in the area of men’s rights in divorce/family law, personal injury, and civil cases. He has experience in both trial and Appellate courts. He practices out of both the Denver and Park Meadows offices. 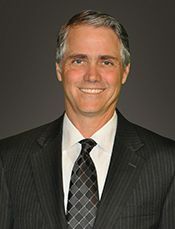 Mark is a member of the Colorado Bar Association Family Law section, volunteers for KUSA LawLine 9 answering family law questions and presented a family law clinic for the Denver’s Mayor Office of Work Force Development for 5 years. He was a speaker at the 2007 and 2009 annual Colorado family law conference in Breckenridge.